The HTC Desire - but is it just the Hero rebadged? 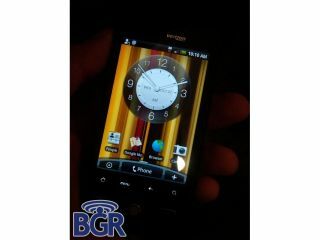 A new Android phone from HTC - yes, another one - has been spotted online, this time taking the moniker HTC Desire. Not a lot is known about the phone, although the source that leaked it to the 'net says it 'looks like the Hero and extremely fast'. We heard word of the HTC Desire a few months back when it popped up in the US, although at the time it was supposed to be heavily Google-branded. This means it wouldn't be allowed to have the slick Sense UI created by HTC to supercharge Android. But the pictures clearly show that the same UI is running on the Desire - so which is it? Is it not Google-branded, or has the search provider softened its stance on letting custom skins through? There could be one problem - the darkened picture shows a device looking a lot like the remodelled Sprint version of the HTC Hero in the US. There have been rumours that the Desire will be nothing more than another remodelled version of HTC's award-winning phone - but we can only hope that it's not.